Even though I’m of Southern Italian heritage, I’m a newcomer to the swirling, energetic, hallucinatory traditional music of Apulia, the heel of Italy’s boot and the birthplace of my father’s mother. In the last few years, I’ve gotten into this music via the recordings of Canzoniere Grecanico Salentino and Antonio Castrignano. Here’s another superb band working in a similar vein, and they’re based here in the USA, in Boston. 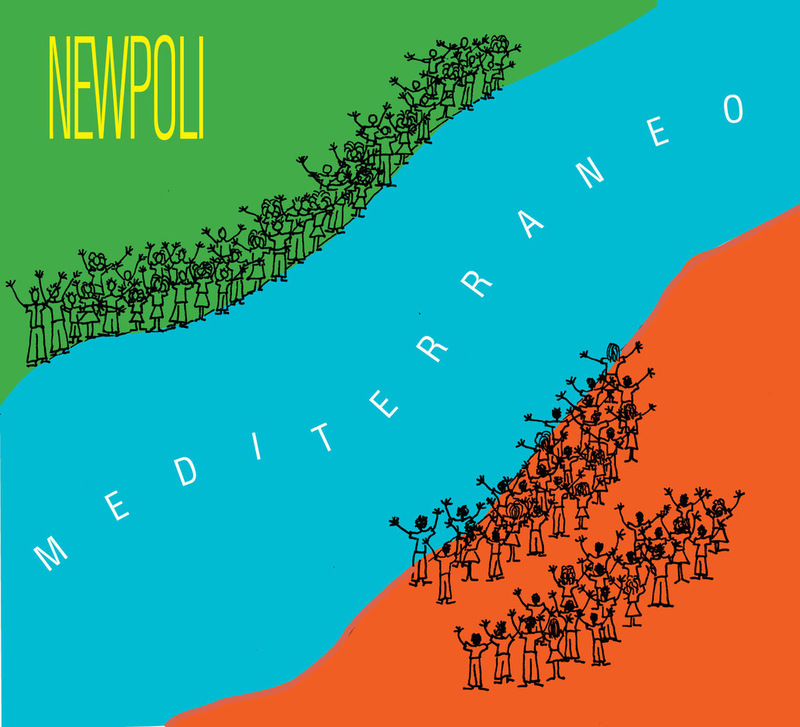 Newpoli aren‘t folk music purists: they write original material that complements the deep vein they’ve tapped into, they use both standard and unexpected instruments, and they borrow liberally from a variety of cultures. They call their sound “Mediterranean Pulse”; it’s folk-rock, Mezzogiorno style. They ace the traditional dances: 3 is a 10-minute-long suite that covers the full dramatic range of pizzica; 7 and 8 are two very different takes on the tarantella. The songs are equally strong: 4 is a tear-jerking ballad, 12 connects Italy to North Africa, and best of all are 1 and 2, both on the most unavoidable subject in Southern Italy today: the refugee crisis. This is a world-class album from a world-class band, one of my favorites of 2018.